This kit is similar to the original type mounted in every drivers side door. 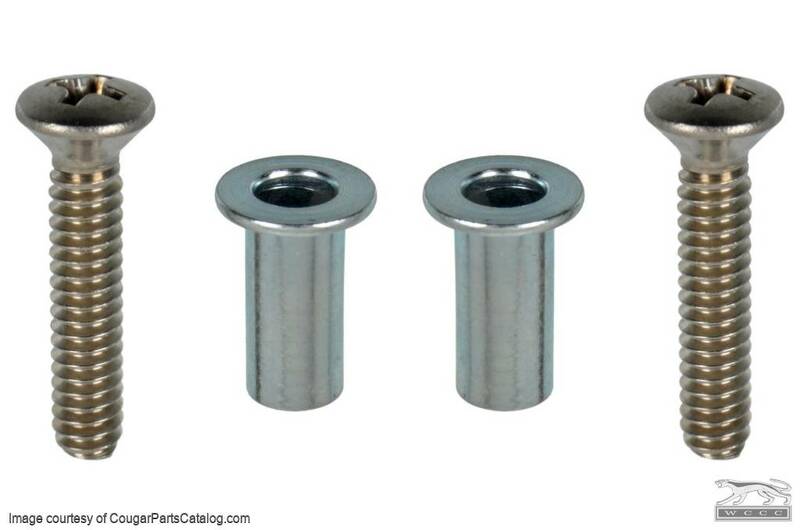 These OEM style Riv-Nuts will be a challenge to install unless you have the special tool. Almost every body shop will have this rivet gun type of tool but here are a couple of ways to tackle the installation without the correct tool. Hole size is 1/4". Replaces Ford Part #: C7AZ-17696. Still have riv-nut questions? Here are riv-nut answers! I'm giving 5 stars, because I think this would work had I not drilled my holes bigger to fit the rubber nuts. I first drilled holes to use the rubber compression nuts and they worked great. I took the mirror off when we painted the car and ripped them. I tried to then upgrade the metal ones and they are too small for the holes I have. 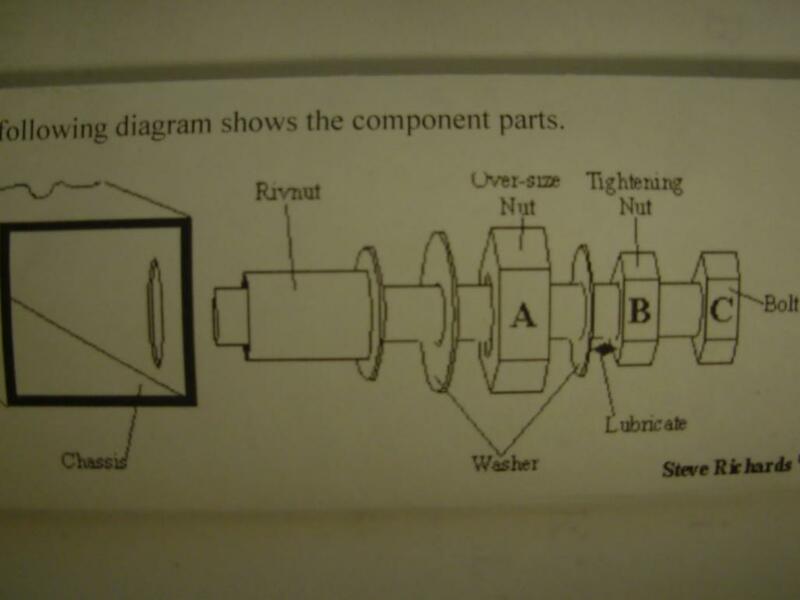 If you already have rubber nuts, you can't easily go to the metal ones. both work fine. Never heard of these riv nuts until I saw the WCCC tutorial vid. As we all know the Ford factory knows best (St. Henry be praised) and these factory style attachments are super and inexpensive. If you are worried about your expensive sport mirrors flying off, here’s the cure. Mirrors fit as tight as new. These were a new install, since my car only came with one standard chrome mirror on the left hand side. I was installing sport mirrors, and needed to start over since the original holes were not the same measurement center to center. I drilled the holes, and used the install tool also sold here. They sucked up tightly to the sheet metal, and the mirrors fit solidly with the only flexibility being the movement of the sheet metal. They could even charge a little more for these, and I would still feel like I got a good deal. They're excellent, and work as they should. My side passenger mirror was held on with wood screws that reemed out the original location holes. These allowed me to have the mirror until a correct fix could be done. Side View Mirror mounting kit. Worked good. Easy just follow Don's video instructions.